About this objectOld woman and her son sitting outside old cottage. 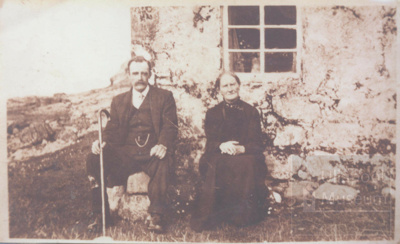 Rhoda & Murdo Maclean - Murdo was father of Cathy Mackenzie & Isabel Renwick. Photo either at Loggie or Inverbroom.